At first glance, a foundation problem may seem like an extreme problem. However, if you identify the damage before it becomes too advanced, most foundation issues have simple, permanent solutions -- many of which can be completed within a day! The key is to recognize the problem early and make sure you call in a foundation repair specialist with the tools and expertise to effectively tackle the problem. You don't have to solve the problem alone! We have a team of expert in-house foundation contractors that are here to help you identify and solve your issues with warrantied products and services. We provide free, no-obligation on-site inspections throughout our Arizona service area. Call or e-mail us today for your appointment! 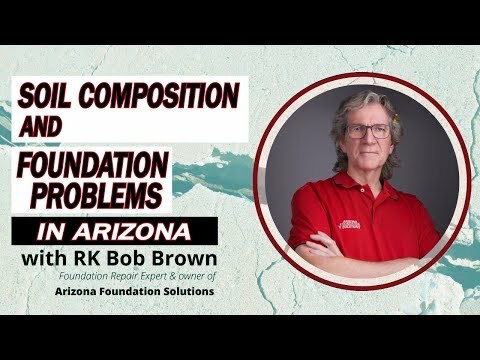 At Arizona Foundation Solutions, we have effective, warrantied solutions for foundation problems of all types, and we have the training, techniques, and top-quality products you need to permanently solve your problem. To help you decide if our solutions are right for you, we offer complete inspections and free repair quotes throughout our Arizona service area. We are a locally owned and operated company proudly serving Scottsdale, Mesa, Phoenix, Glendale, Scottsdale, Chandler, Sedona, Payson, Flagstaff, Peoria, Prescott, and the entire state of Arizona. To schedule an appointment, contact us by phone or e-mail today!